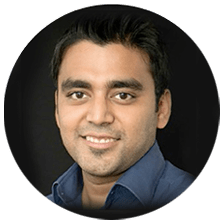 Founder and Principal Consultant of SKC.WORLD, Sameer Kamboj is amongst a few Chartered Accountants who has expertise with numbers and an in-depth knowledge in the field of Finance, General Management, and Business Processes. His deep understanding of the Human Capital with the Emotional Quotient makes him unique. He is a Strategy Consultant and Business Coach. He is a Counsel and advisor to organizations helping them reach their potential holistically. He empowers and prepares organizations in dealing with issues at the micro level while maintaining the macro view. He is an active speaker at various seminars. He deliberates on the topics related to Leadership, Management, Productivity, Indian Business models, and Human Capital. Founder and Executive Director at SKC.WORLD. She is an expert in Transactional Analysis, analysing organizational problem points and providing grounded & practical solutions. She has introduced the concept of people development to meet strategic business challenges. People Development for clients to implement the laid down Strategic Goals became a success. Her unique approach to her work, which remains simplistic at its core yet resolves the most complicated challenges, has won her laurels over the years. She works through the time-tested methods of organizational counselling, with a deep understanding of human behaviour and its complexities. She assists people in overcoming their limitations and motivates them to strive for better performance every time. She has been a Mentor, Guide, and Coach to many. ers valuable experience of 10+ years in the field of international taxation, transfer pricing, FEMA, audits and valuation services. Chaitanya has a certification in Valuation from ICAI and is a Lean Six Sigma Green Belt certified. He has single-handedly setup operations for outsourcing of accounting & taxation work from USA & Canada in SKC. Chaitanya's current role also includes coaching people and organisations to achieve their goals. 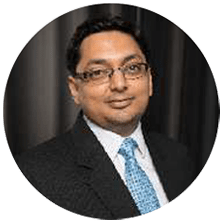 Prior to SKC, Chaitanya has worked with Ernst & Young in their corporate tax division. His key to success is his cool and calm temperament and leading teams with empathy, compassion and by empowering them. He firmly believes that "Change is the only constant". Besides his passion for work, Chaitanya has an inclination towards music, playing guitar and following football. Akshya is a B.Com, Masters in Finance Control, Chartered Accountant and has a PG Diploma in international business (IIFT). He is an Ex banker with more than 12 years of experience in relationship management, financial assessment, structuring & planning. As a banker, he has created multiple lending products which are successfully running. His philosophy is investing in well-being of others. He has a motto to take challenging tasks and he has imbibed the values of seeking solutions to a situation and being responsive. He loves travelling to different places and explore their culture & tradition. 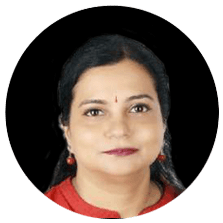 Sangita has done B.SC, MBA (HR &IR) and boasts of various other qualifications, such as Lean Six Sigma, Goal Setting: Getting it right and Effective Personal Productivity among others. She possesses experience of around 23 yrs. in Strategic HR & Process development, Corporate HR & IR. She has headed HR verticals in various corporates like Innovative B2B Logistics, Ultra Motors India, Alcatel Business systems & BPL Telecom. 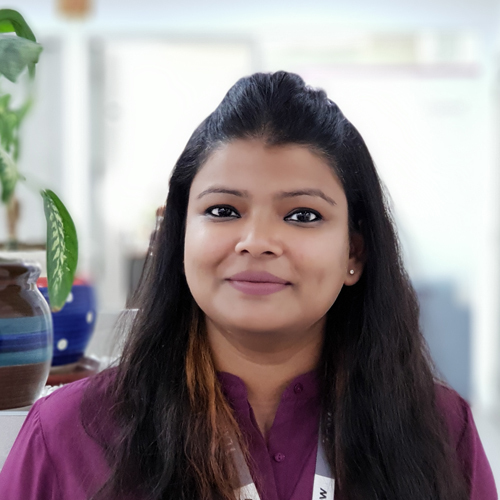 She is currently working in SKC as a Coach & Consultant in HR & Process Vertical, and her main purpose is to enable & Empower clients to achieve their goals through organizational development along with assisting promoters to inculcate the concept of “Best Place to Work”. She belives in Values of Simplicity, Kindness, Empathy, Responsibility, Respect & Honesty. She loves to travel and has interest in Indian classical dance. Divya is a B.Com graduate from Delhi University with a Masters in Business Administration. 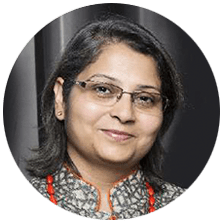 She has more than 12 years of experience in Relationship management,Solutioning, Business Development and Customer Service in various industries. She is currently leading the Business Growth function within SKC Consulting. Divya loves to learn and explore various ways towards well being of individuals and organisations.